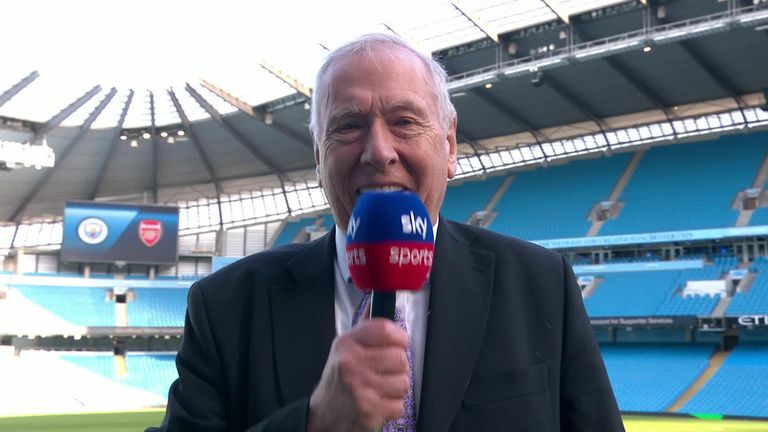 Martin Tyler's stats: Can Tottenham go an entire season without a draw? Sergio Aguero scored his 10th Premier League hat-trick in Man City's 3-1 win over Arsenal on Super Sunday, becoming only the second player to get double figures in hat-tricks in the Premier League era after Alan Shearer. In all, Aguero has 14 hat-tricks for City and he took his record to 11 goals in 16 games for City against Arsenal. Meanwhile, in 63 matches against the Big Six, he has scored 40 goals since his debut in August 2011. City have won the last four Premier League meetings against Arsenal, and that is the first time they have done that since September 1935 - April 1937 and later that April, they won the league for the very first time. Raheem Sterling made his 300th club appearance in all competitions at the age of 24, Shkodran Mustafi made his 100th English club appearance - 99 for Arsenal and one for Everton. Meanwhile, Arsenal have now failed to win in any of their last 21 Premier League away games against the 'Big Six', but they did score, ending a run of 26 goals scored without reply at home by City - Liverpool's Roberto Firmino the last away scorer on January 3. No! Tottenham's run of 29 games (25 this season) without a draw is now a Premier League record, so that tells you how unique this sequence of results is. The 1-0 win over Newcastle broke the previous Premier League record set by Bolton in 2011, who went 28 games without a stalemate. However, while Spurs have won 22 and lost just seven times in their run, Bolton won just seven and lost 21 of their 28 matches. Spurs have been labelled the "Undrawables" by some on social media but they have quite a way to go to go through an entire season with no league draws on their record. The last team - in the top four leagues of English football - to not draw over an entire season was Darwen FC in the Second Division all the way back in 1897! And that was over a 30-game season. In fact, since 1897, only Barrow in Division Three (North) in the 1931/32 season have drawn just one league game in a season. It really is a remarkable run of results put together by Spurs. Jack Stephens handball in the box in the final stages of Burnley's clash with Southampton ended Burnley's 67-game run without a spot-kick, which was by far the longest current run of any side in the Premier League this season. Huddersfield now top the table for the amount of games without a penalty being awarded as their defeat at Chelsea was their 36th league game in a row without a spot kick. At 2-0, new Huddersfield boss Jan Siewert was out of his seat and protesting after Elais Kachunga tumbled inside the box after a challenge from Andreas Christensen but nothing was given. However, when it comes to the overall Premier League record, the Terriers still have some way to go before matching Wimbledon's record of 91 games without being given a penalty between 1997 and 2000. Huddersfield have failed to score in a league-high 13 different Premier League games this season. Their position as a Premier League club is becoming very precarious and a lack of goals is obviously their main problem. However, this is a recurring them with Huddersfield but it didn't stop them surviving last season after failing to score in 21 of their 38 Premier League matches under David Wagner. That was just one game less than the record of 22 blanks over a season recorded by Derby County in the 2007/08 campaign. That Derby team finished bottom and scored just 20 goals over the course of that season, which is the lowest tally recorded by a team. Huddersfield need to score eight goals between now and the end of the campaign in order to not break that unwanted record. Sterling's second assist against the Gunners took his tally to 100 goal involvements since making his Premier League debut for Liverpool in 2012 at the age of 17. Seven years later and he's become one of the hottest properties in the Premier League, scoring 59 goals and registering 41 assists. 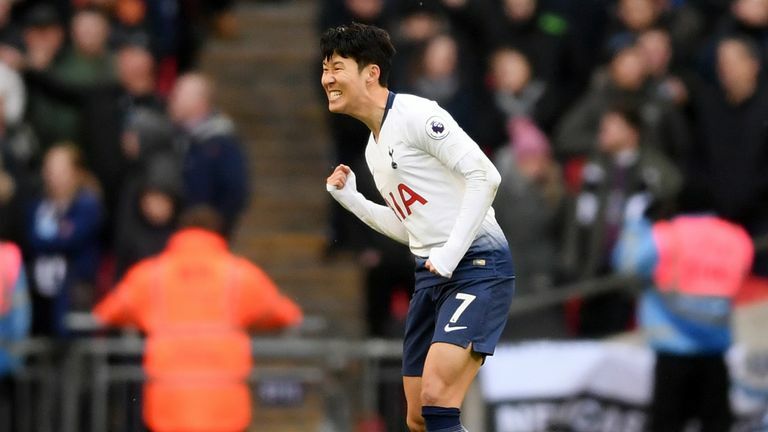 Interestingly, he's the seventh youngest player in Premier League history to register 100 goal involvements in the competition, getting to that figure at a younger age than Harry Kane and Alan Shearer. At the top of the charts is Michael Owen, who got to his century of goal involvements just after his 22nd birthday and achieved the feat in just 143 games.